Dominaria and Core Set 2019 have been more successful than any previous Magic releases for my store, and Desert Sky Games is in its seventh year in business. I wasn’t alone in this. Even small-volume microboutiques in out-of-the-way places saw new faces coming in to buy and play. 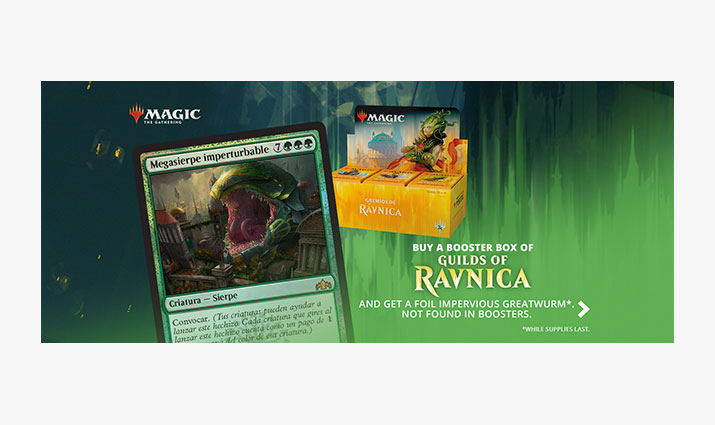 A big part of that success has been the Prerelease Early Sale Promotion, and I expect Guilds of Ravnica to be a third consecutive home run. If your store is not already taking full advantage of this, you’re missing out on a great opportunity. Let’s take a look at the promotion, then examine three ways to plan ahead and make the most of it. The promotion succeeds for two reasons: early access and WPN exclusivity. Early access: WPN stores get to sell boxes during Prerelease weekend, a week before the street date. A significant share of players want the new hotness now now now, but ever since in-store Prereleases began with Shards of Alara, we’ve had to say no. Telling somebody their money’s no good here is never a great strategy for retailing. At last, we can strike while the iron is hot and capture those sales. Exclusivity: the Buy-a-Box promo card is only at WPN stores. Mark Rosewater himself taught, way back during Zendikar’s design articles, that players like being rewarded for something they already want to do, like playing a land. That’s what is happening here. We all know it doesn’t appear in boosters from the set, but there’s more. Players can’t get the card at stores outside of the WPN. There’s no way to get this card before street date, except picking up a box or trading with someone who did. It’s the kind of thing that small independent specialty retailers typically simply do not have access to. We’ve seen exclusivity take business away from us in the board game, video game, and miniatures categories. But now, here in the TCG category, we have exclusivity helping us instead. 1. I take the full allocation of early boxes. The risk is low and it’s easy for me to mitigate. After the way Firesong and Sunspeaker and Nexus of Fate promos have succeeded, I suspect that players will be seeking out early boxes more than before. So even stores that didn’t see a lot of those early sales the first two times could see them for Guilds of Ravnica. But here’s the thing: the boxes aren’t going to grow legs and walk away. Even if you don’t sell out, the set releases six days later. Just sell them on release weekend. 2. 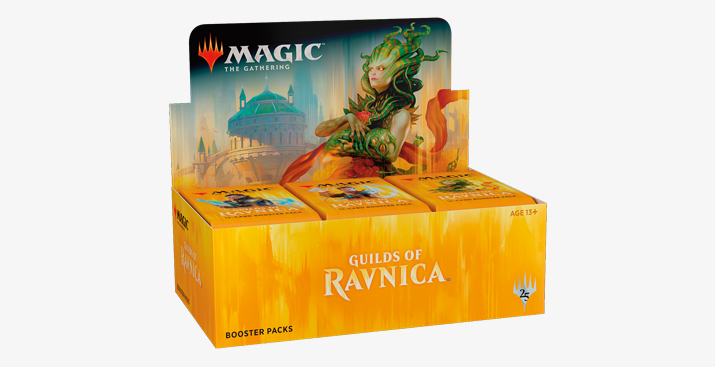 Your Prerelease will get more expensive, because these boxes arrive with it, rather than a week later. Depending on your Prerelease allocation, this might be a pretty big invoice. There are a few ways to manage it. Many distributors offer payment terms if you submit a credit application and get approval. Check into that if you want a way to spread the expense out a bit. Or, if you have to pay for it all on the spot, taking preorders is a good way to build your bankroll ahead of time. 3. Remember that you must distribute the promo card with the early boxes, and you must deliver the box in-store to the customer. (in the U.S. at least). This means you may not be able to open conventional box preorders until your early boxes have sold through. I recommend opening pre-orders of early boxes, and only early boxes, until the Prerelease is over. After that, open preorders for everything: boxes, Bundles, Planeswalker Decks, the whole nine yards. Michael Bahr is the managing partner of Desert Sky Games in Chandler, Arizona. He served four years as a Level 3 Judge, holds a law degree from Arizona State, and spent seven years in government health care administration. How do I join the WPN Facebook group? Can I buy or sell products outside my territory?